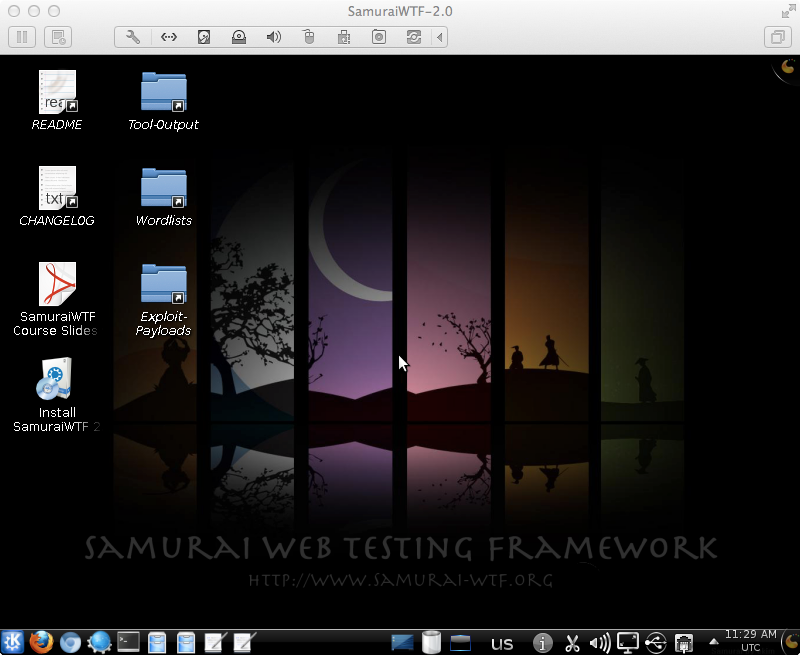 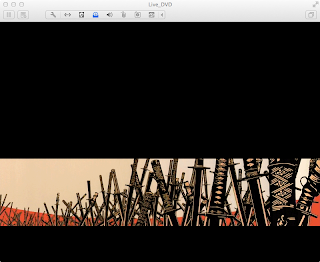 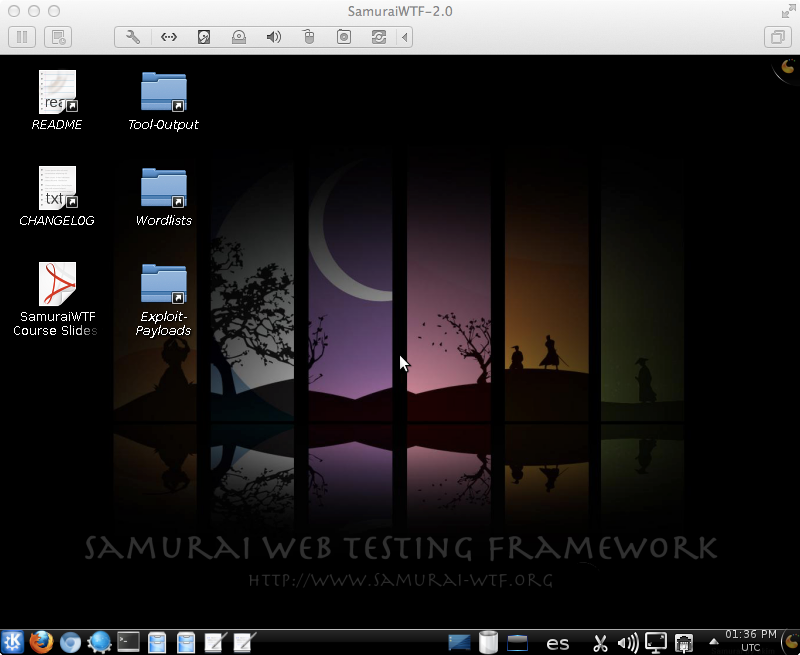 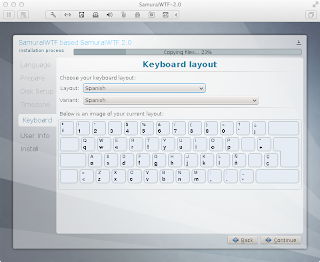 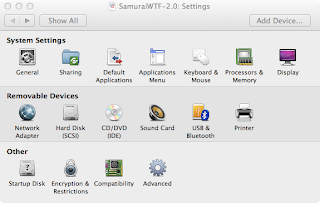 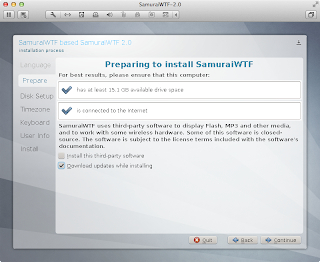 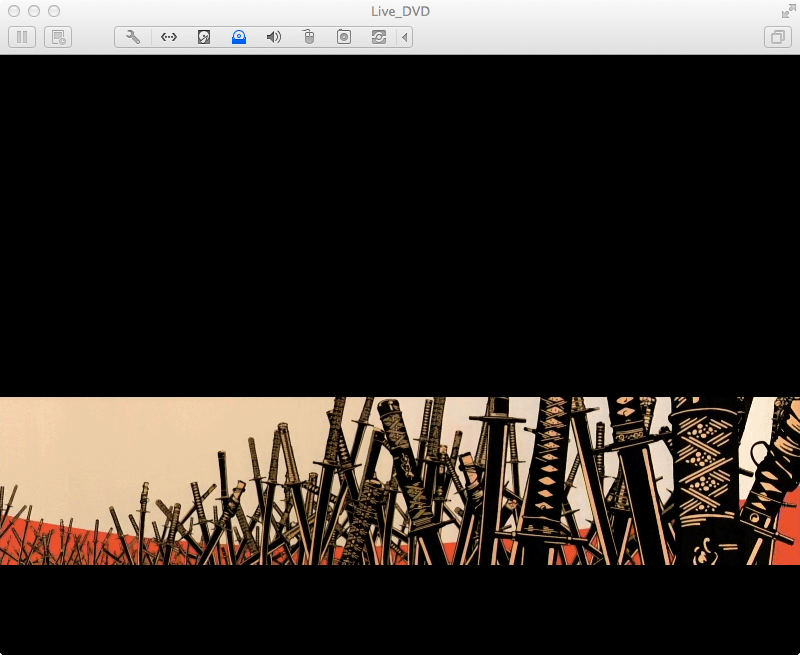 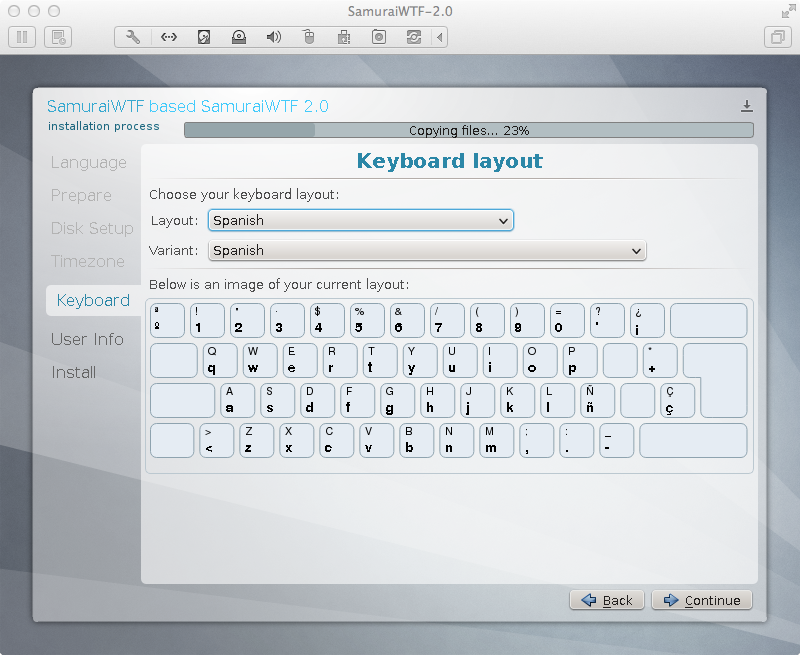 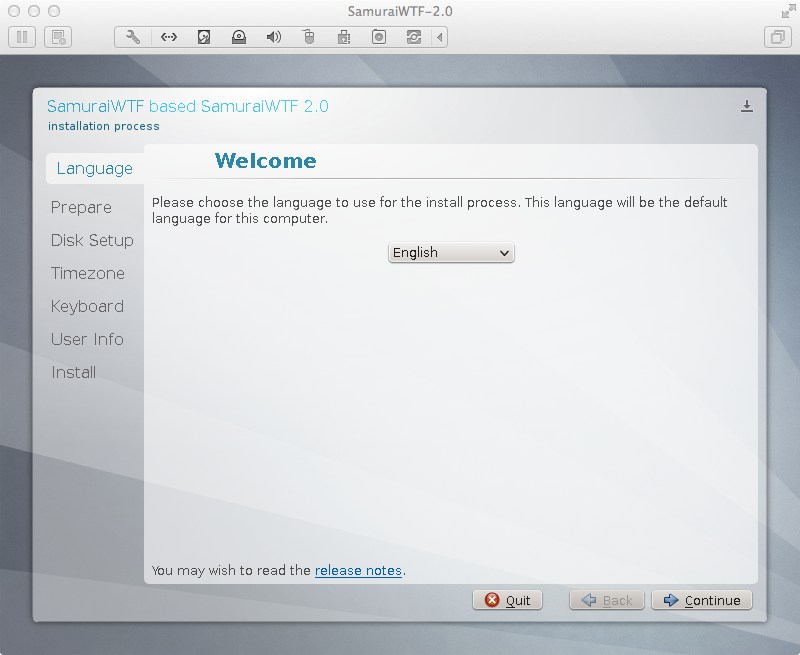 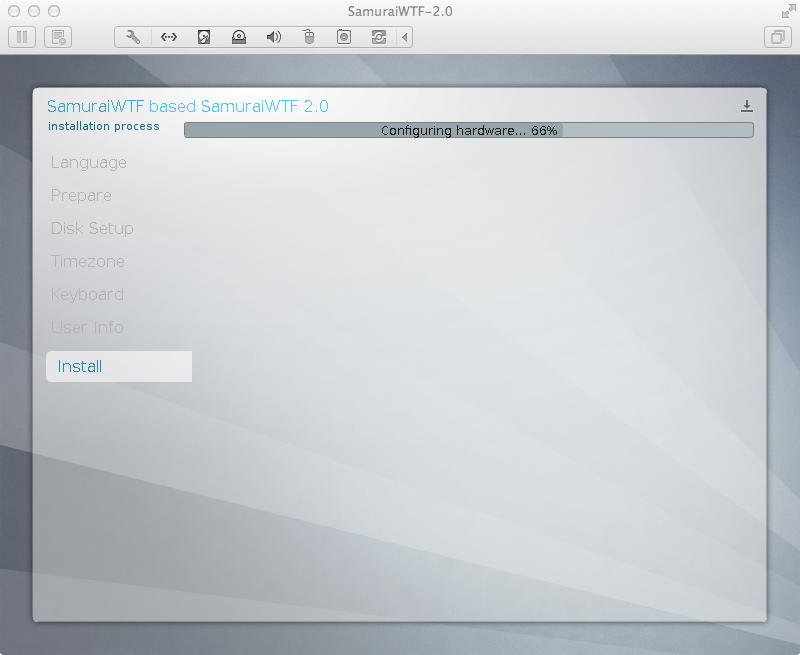 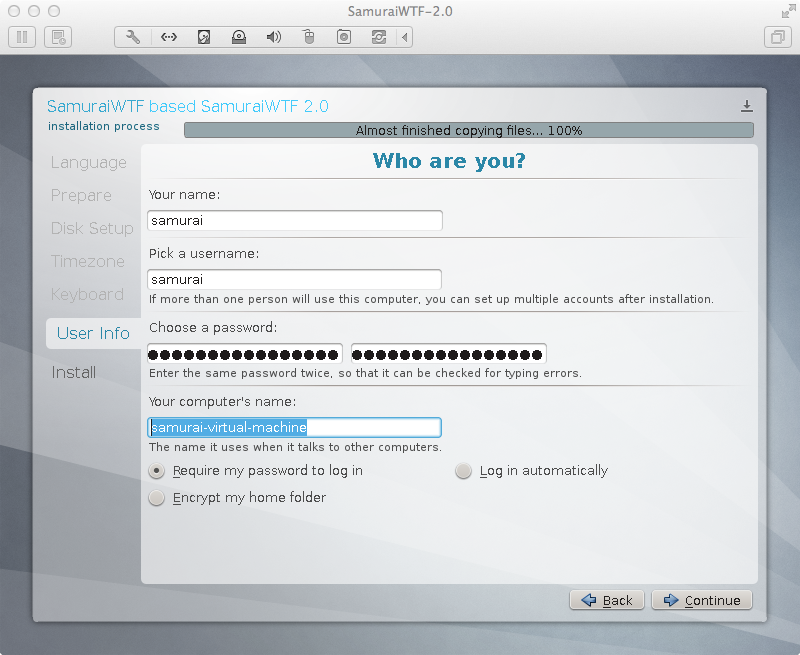 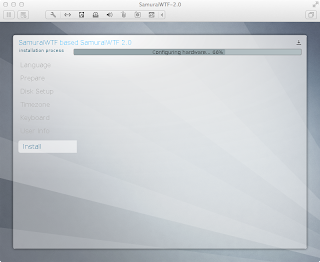 What are Samurai2 System hardware requirements for hdd primary os instalation? Danijel, as the post details, it uses the default Ubuntu 12.04 LTS hard drive requirements. The installer suggest 15GB, but the default VMware disk of 20GB works well (unless you really want to store huge amounts of information inside the VM). 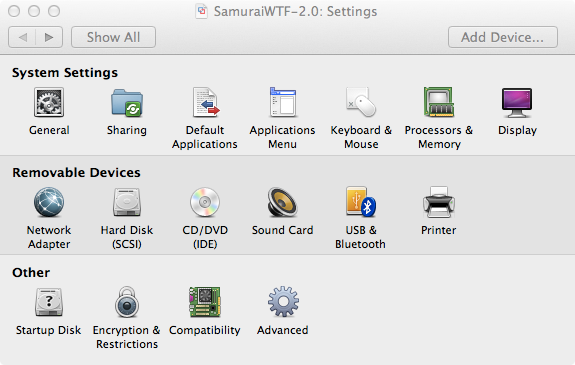 Thanks for the post, I have an issue where on both my mac and my pc the vmware keyboard and mouse functions do not work. 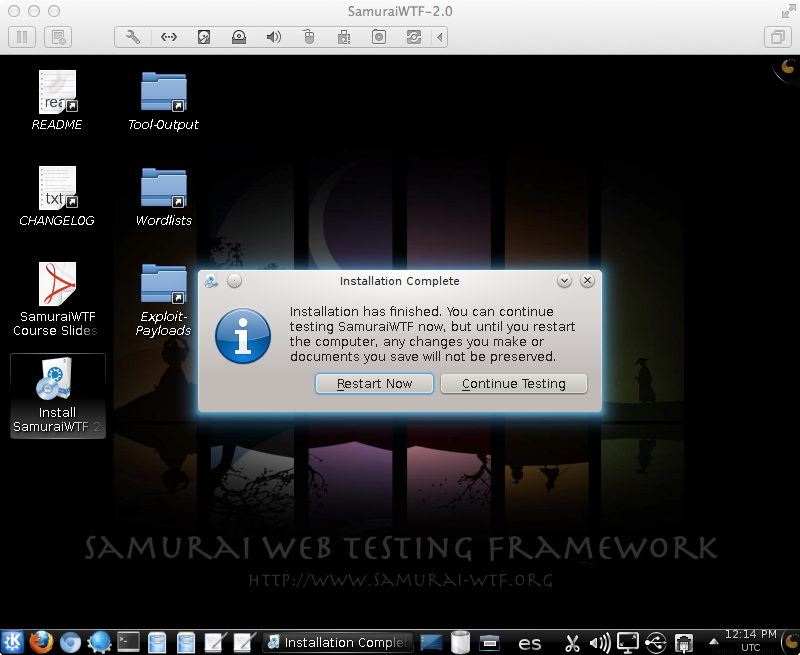 Did you see this at all when you set this up or since? 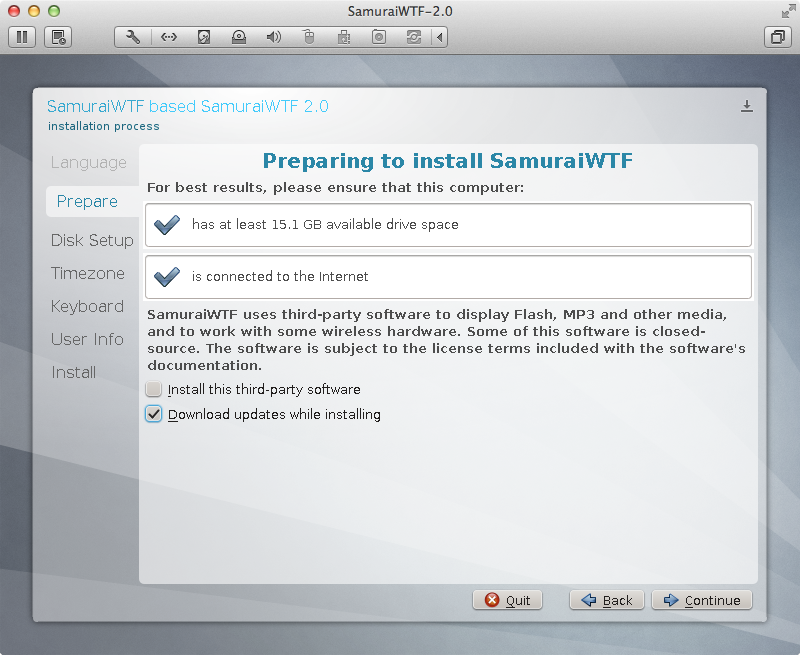 Sorry but I have not seen that behavior before. 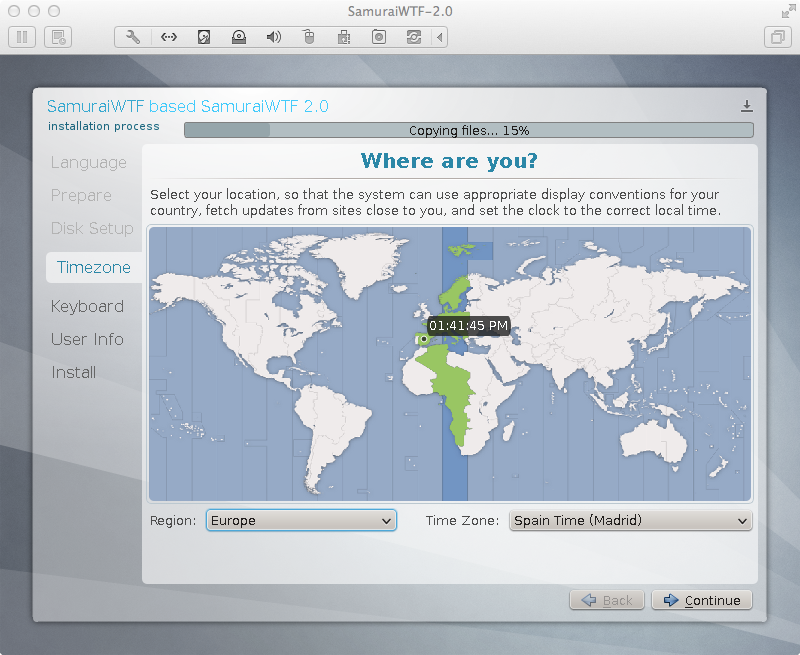 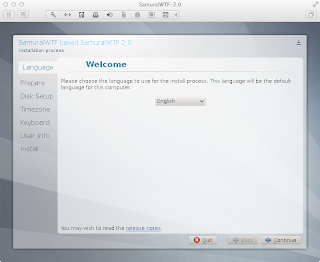 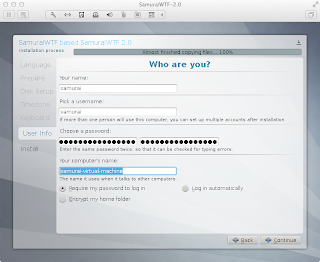 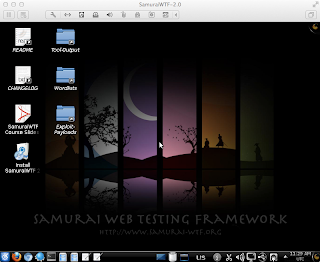 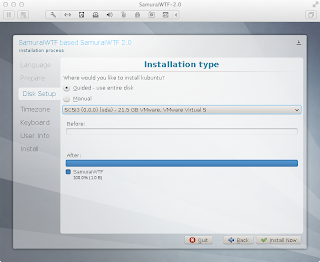 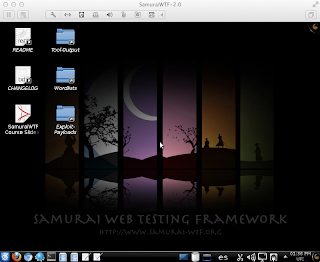 Try to test it with a different VM in order to troubleshoot if it is a general VMware issue, ensure VMware Tools have been properly installed in SamuraiWTF, and/or contact me by e-mail.